Submitted by Lighting (not verified) on Wed, 06/17/2009 - 7:18am. Food has important factor for a healthy life. if you prepare food yourself, it will not be only nutritious but also safe from viruses. Submitted by Noreen (not verified) on Wed, 04/08/2009 - 5:42pm. I'm going to have to buy this book. I had it out of the library and there were just too many good recipes to photocopy. The farro salad with marinated artichokes and sundried tomatoes is the only recipe I've tried so far and it was fantastic! 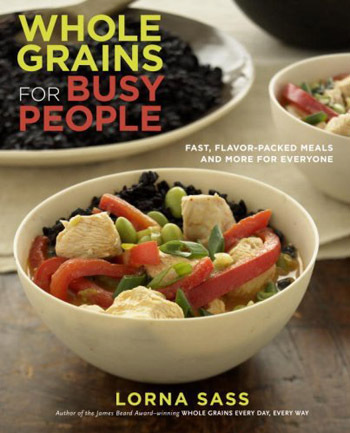 I have Whole Grains Every Day, Every Way on my shelf and use it quite a bit.